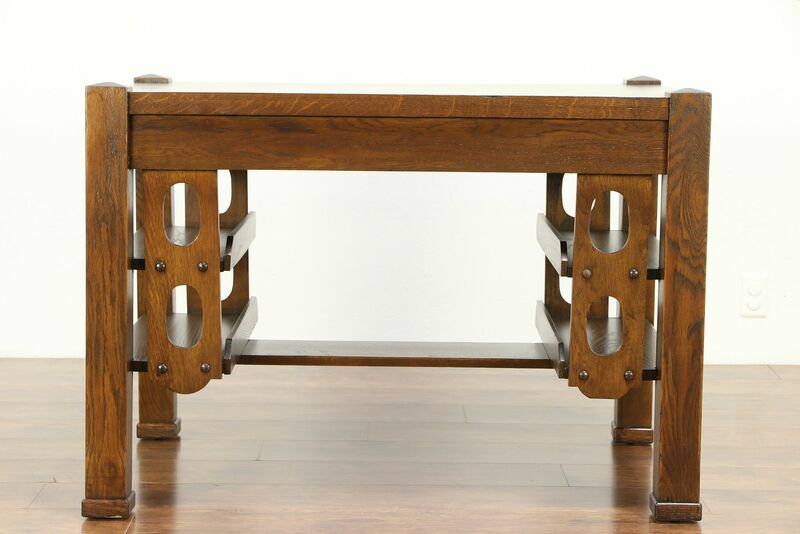 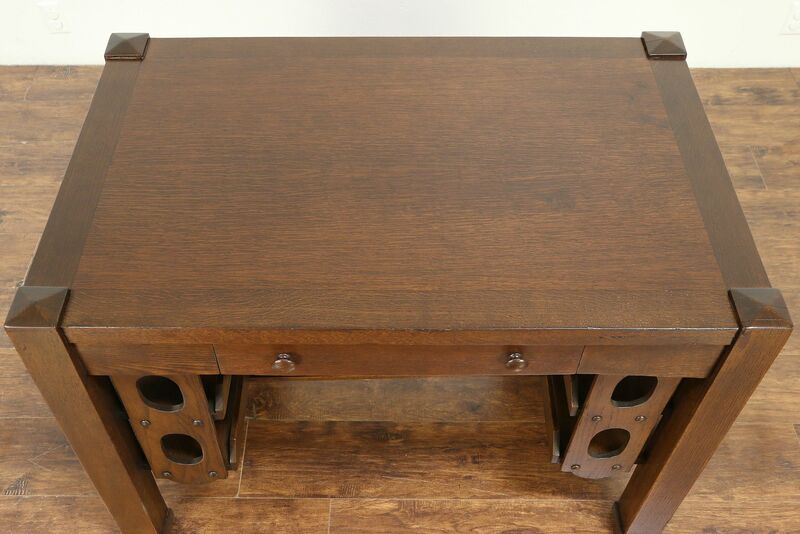 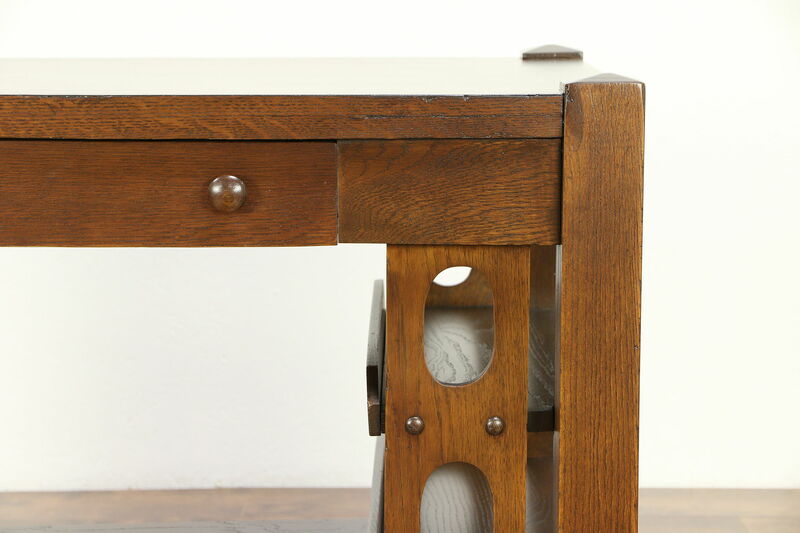 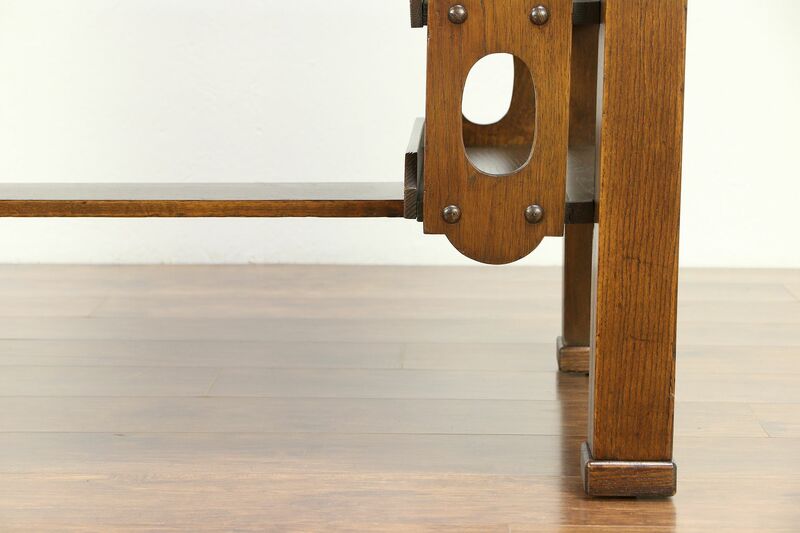 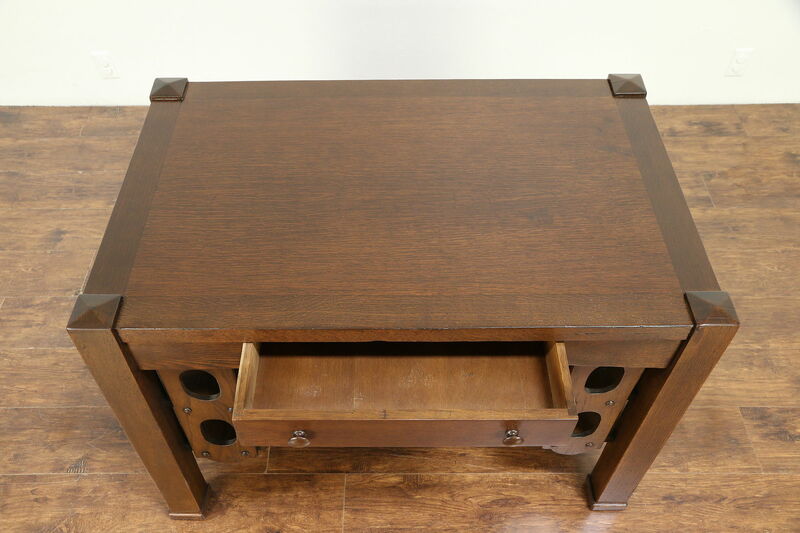 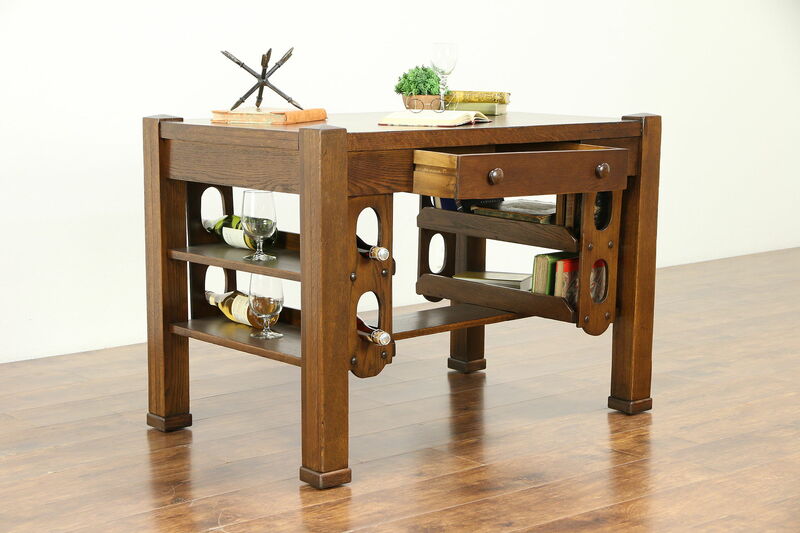 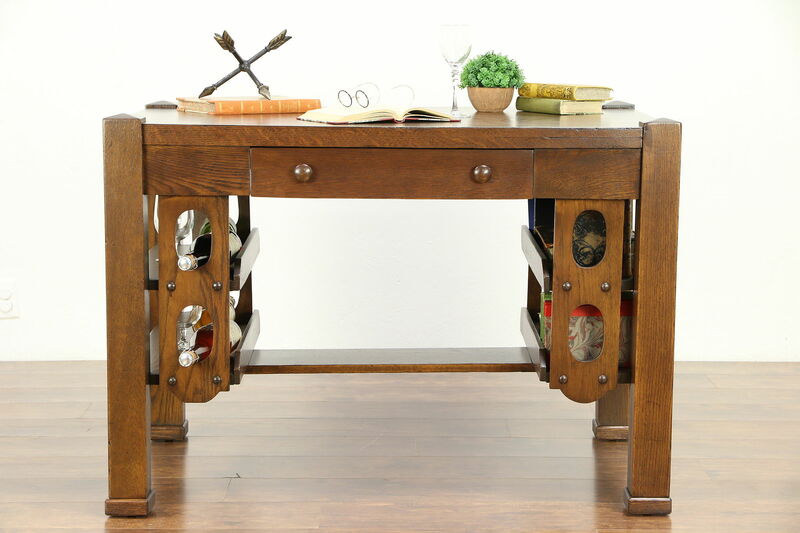 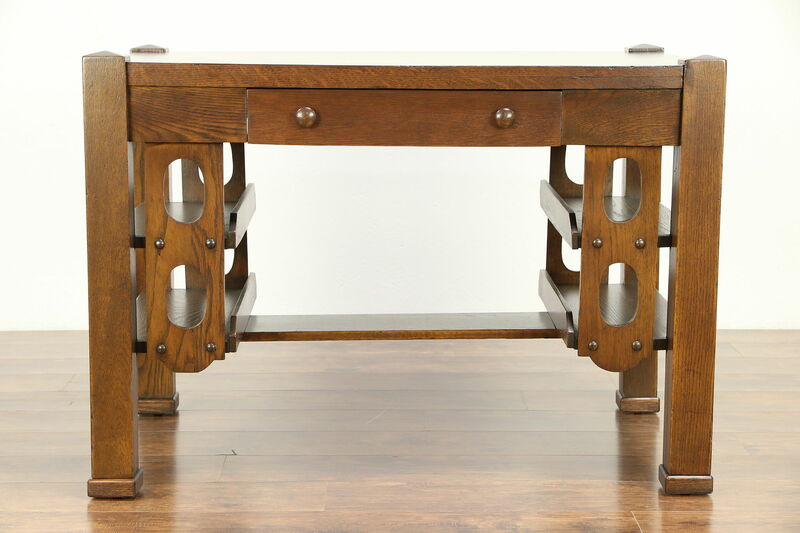 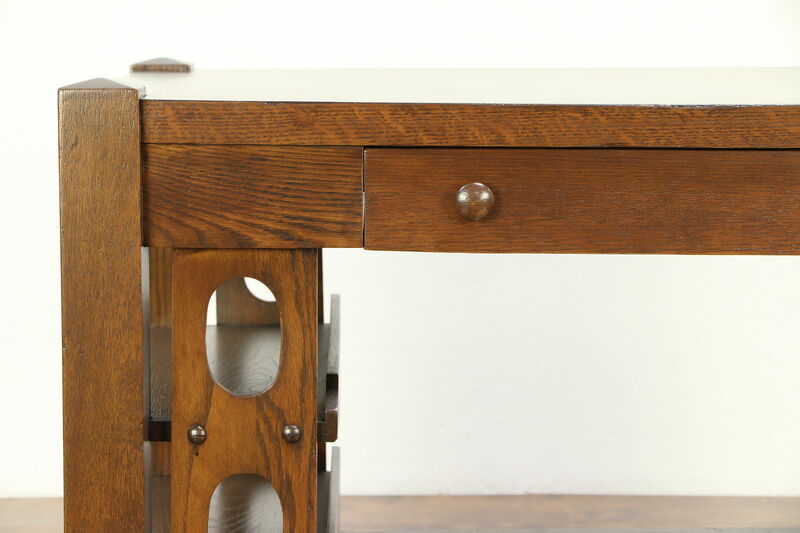 An Arts and Crafts or Mission Oak period library table or desk from about 1905 has bookshelves at both ends. 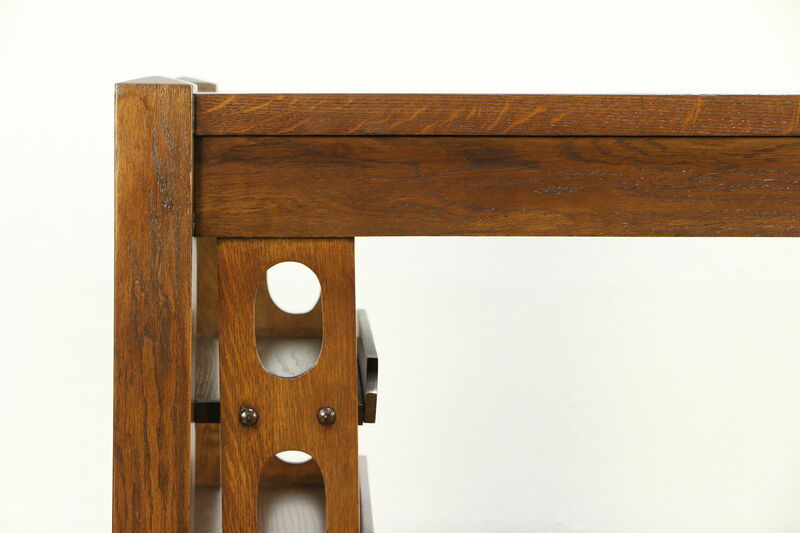 The restored deep finish is in excellent condition, preserving some shrinkage separations from age for a little antique character. 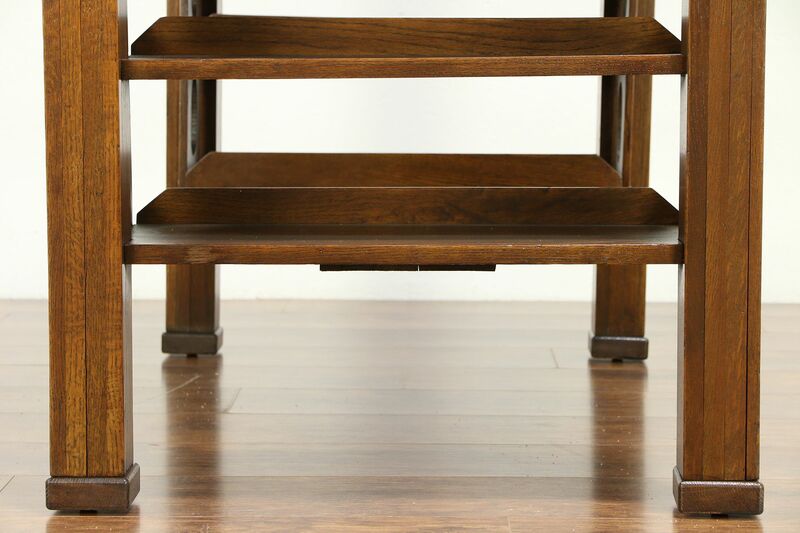 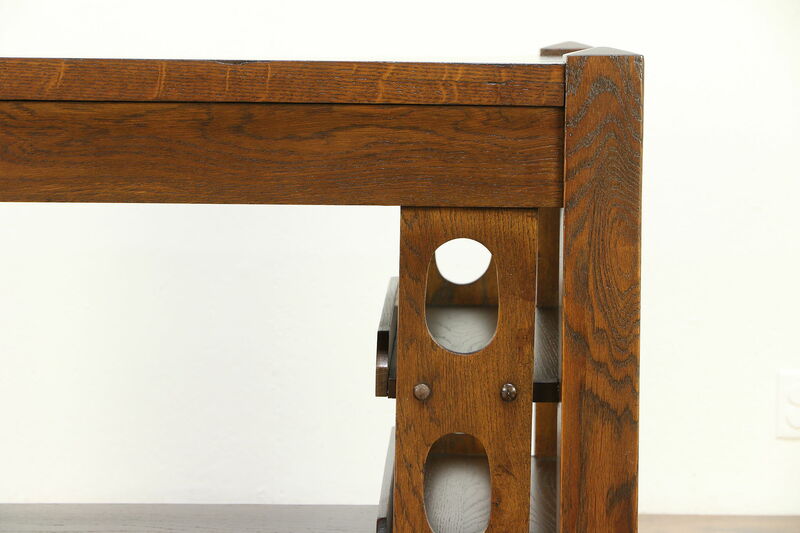 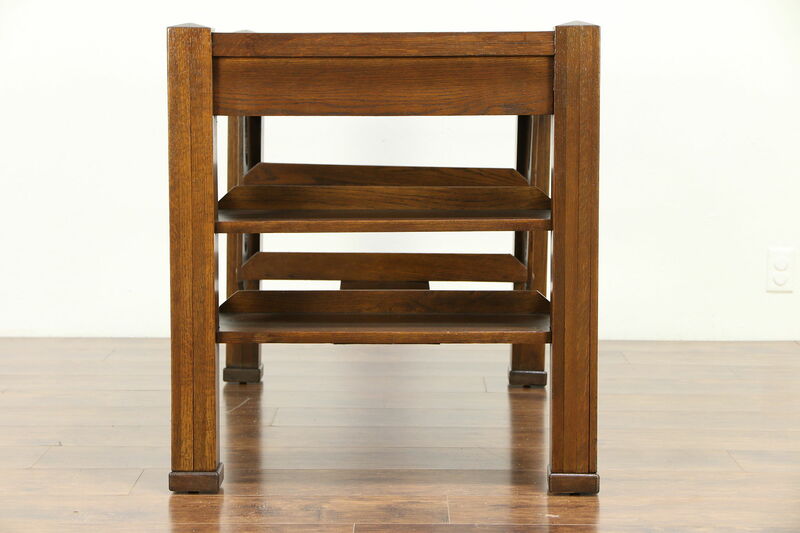 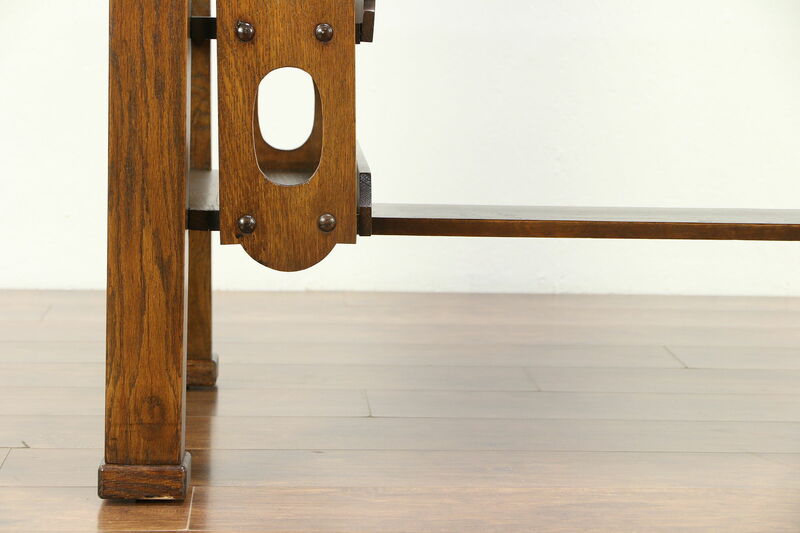 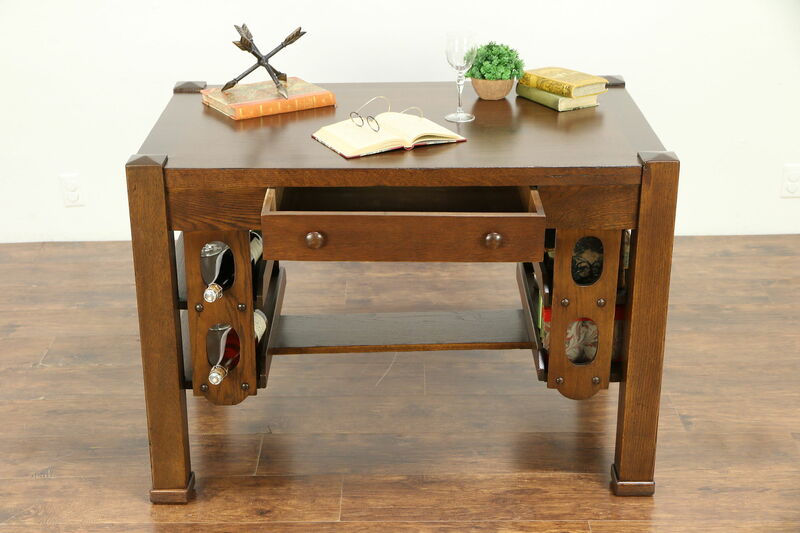 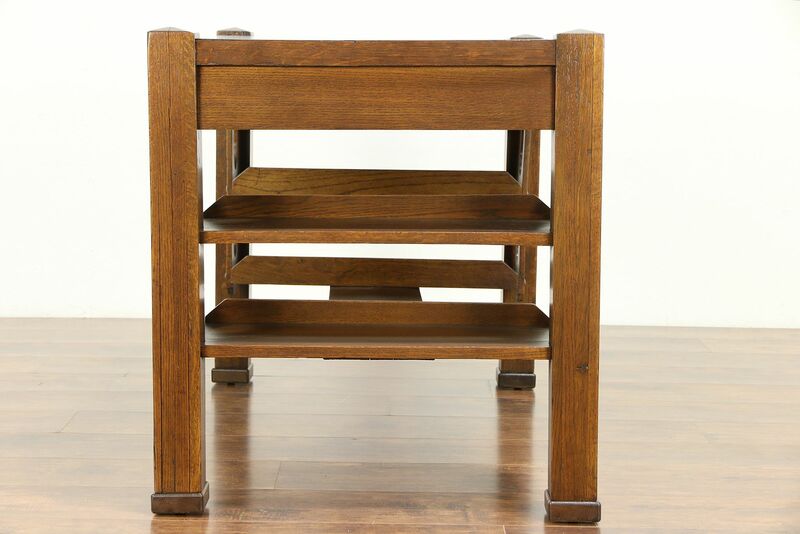 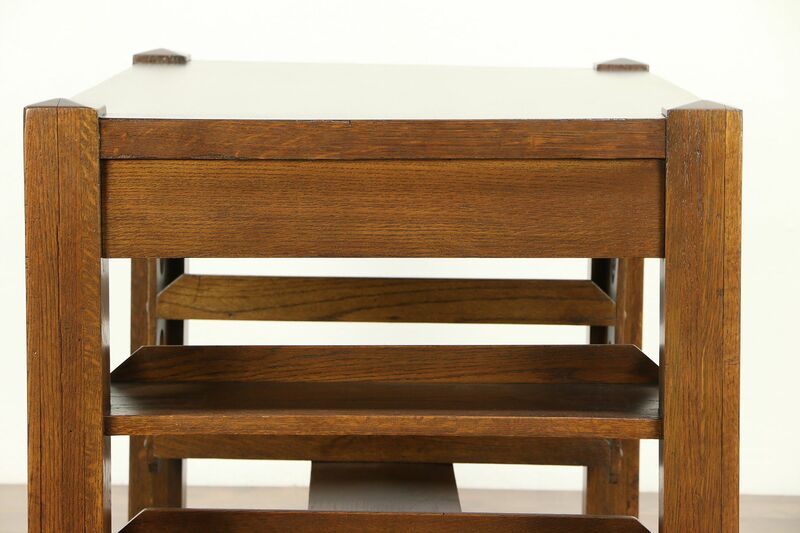 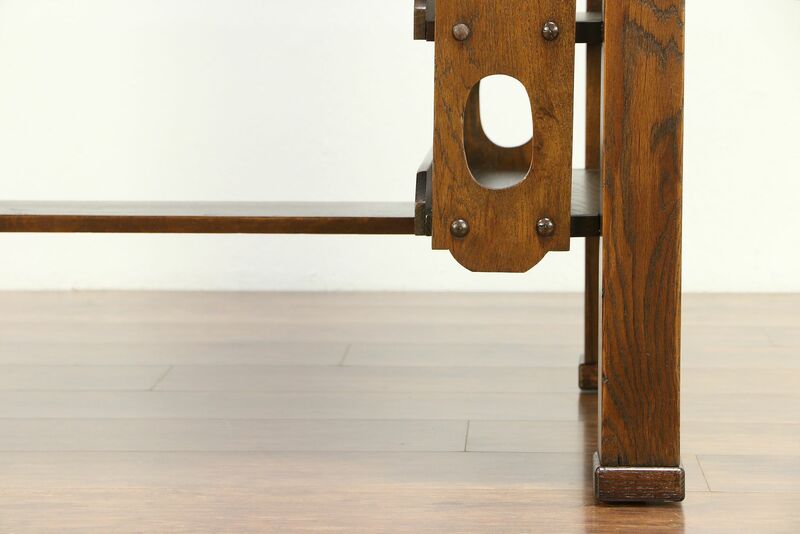 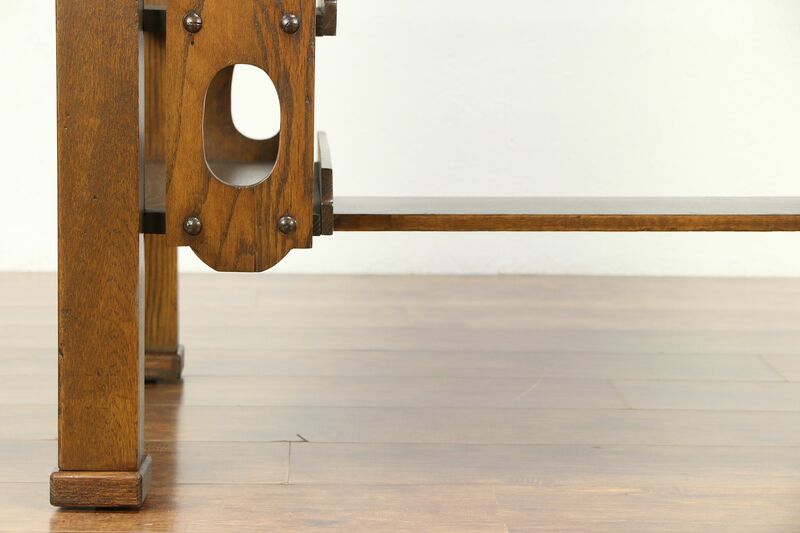 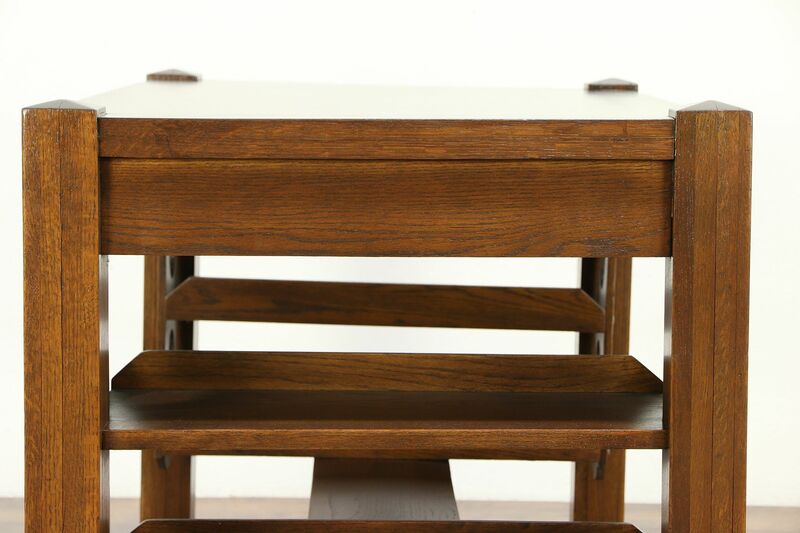 American made, this Craftsman furniture has lots of quarter sawn oak grain. 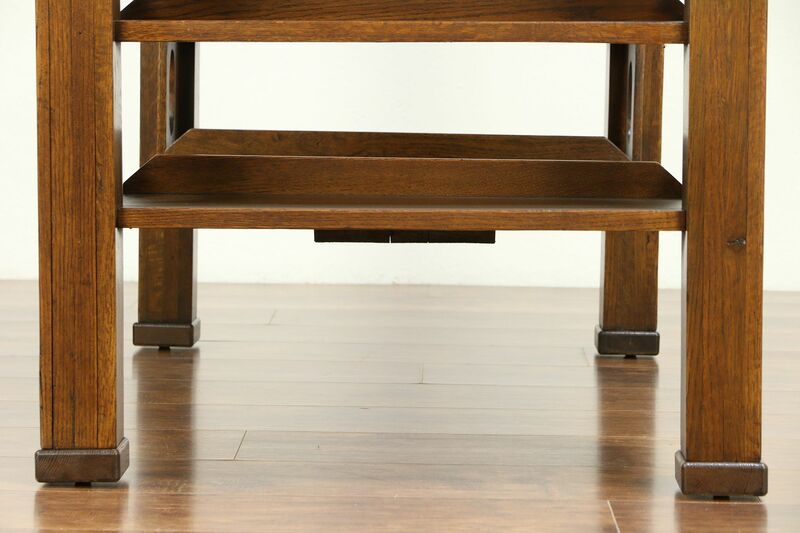 Size is 44 1/2" wide, 29" deep, 31 1/2" tall and legroom is 25' underneath.